Two of the most powerful figures in the Senate have announced they are reimbursing the full amount of their contested expense claims, ahead of Tuesday's highly anticipated release of the auditor general's report. Senate Speaker Leo Housakos said in a news release sent out Monday morning that he has decided to repay the full amount of his expenses in order to protect "the integrity of the procedures and processes we put in place resulting from the auditor general's report." It was announced at the same time as Opposition Leader James Cowan's confirmation that he has repaid his expenses. CBC News has also learned the Senate has changed its meal policy in the midst of the ongoing fallout from the two-year expenses audit. Meals provided by the Senate will no longer be served during committee meetings. The Senate originally provided meals for senators during committee meetings, and also allowed them to collect per diems. Senators will still be able to collect their per diems. Senate spokeswoman Nancy Durning confirmed the meal policy change, noting however, that "light snacks may still be served when deemed appropriate." This is in addition to a pending policy change preventing senators from flying business class at taxpayers' expense for trips shorter than two hours. Both policies will come into effect after the Senate rises for the summer. Last week, CBC News reported that Housakos, Cowan and Conservative government leader Claude Carignan were among those caught in the crosshairs of Auditor General Michael Ferguson's audit of the Senate. The revelation prompted questions of possible conflict of interest, as the Senate leaders were also involved in creating the process in the upper chamber to handle senators' disputed claims — including the appointment of an independent arbiter. "I have taken this decision not because I don't believe in every Senator's right to arbitration but because I believe in it so strongly that I do not wish there to be any question surrounding the integrity of the process or the manner in which it was implemented," said Housakos, who represents Quebec. He was found to owe about $6,000 related to a contract. 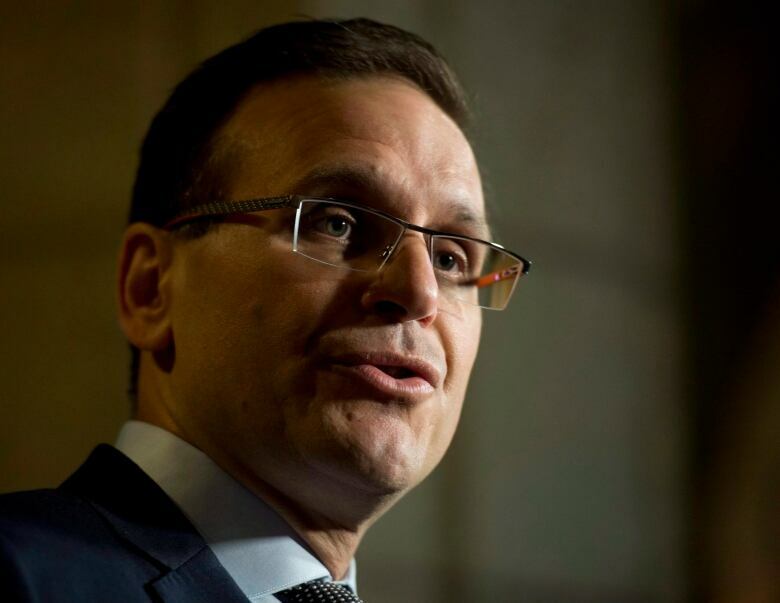 Cowan's release stated he has repaid his expense claims in full "but (continues) to respectfully disagree with the findings of the auditor general." Cowan, a senator from Halifax, confirmed last week that he had been told to pay back a little more than $10,000 for travel-related expenses in 2011. "I stand by my position that all expenses charged by me to the Senate were, and will continue to be, entirely appropriate. I have taken this action solely to remove any lingering perceptions about the integrity of the arbitration process," Cowan said in the release. Both have also decided they will skip arbitration of the contested claims. Carignan, who has already reimbursed about $3,000, said the auditor's findings in his case related to expenses by one of his staff. Housakos, Cowan and Carignan are among 30 former and sitting senators found by Ferguson to have filed ineligible expenses. Nine of the senators' expense files have been sent to the RCMP. CBC News has also learned that Senator Don Plett from Manitoba has repaid $2,975 out of $4,095 in ineligible travel expenses. He is contesting the other $1,120. "There were two claims that had an administrative error," Plett said. "We happened to flag both of these errors prior to [the] auditor and we immediately said 'these are mistakes that should not have been there.'" Plett said in the period under review, he filed 103 travel expense forms, adding he was worried based on the sheer volume of claims that there could be some human error at play. "We're all human, my staff is human, I'm human," he said, adding he never once willfully took any money that didn't belong to him. "I stand by that today, but clearly, yes, this tells me that some of the people — and I'm not wanting to be critical of individuals in the audit team — but ... there is a lack of knowledge about what is and what is not Senate business." Saskatchewan Senator David Tkachuk, former chair of the Senate internal economy committee, confirmed that he has repaid $3,900 out of a total of $7,391 in ineligible expenses. He is contesting the other $3,491. The detailed finding's of Ferguson forensic audit of the Senate's expense claims will be fully released on Tuesday. 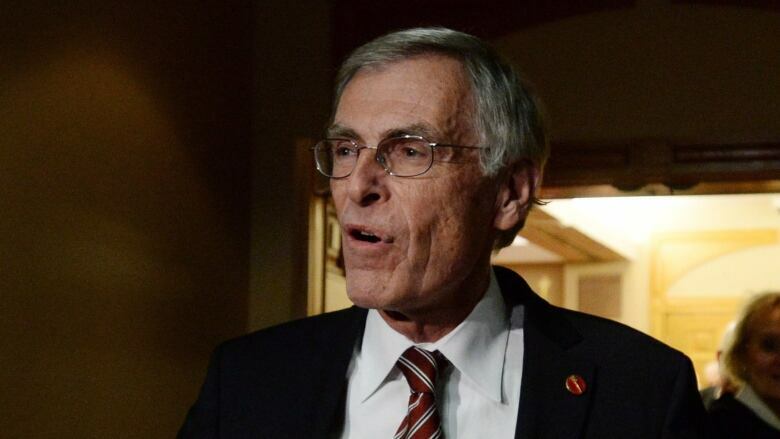 In a bid to control further damage from the potentially damning report, Cowan sent out an email obtained by CBC News to independent Senate Liberals saying it would be "not only unwise but premature" to take a position on any of the auditor general's recommendations. "Much more study and consultation needs to take place on our part before any recommendations can be accepted or rejected," Cowan wrote. "In this regard, it is critical that we speak with one voice and with one message." The senators were also told they would be receiving "talking points" during their caucus meeting at noon on Tuesday, where they will read and discuss the report. This story has been edited from a previous version that said changes to the Senate's meal and travel policies are already in effect. In fact, both the meal changes and travel changes have been adopted but come into effect when the Senate adjourns for the summer.